The BERMAD Pressure Relief/Sustaining Valve with Hydraulic Control is a hydraulically operated, diaphragm actuated control valve that sustains minimum preset upstream (back) pressure. It either opens or shuts in response to a remote pressure command. 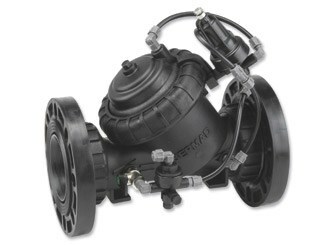 When installed offline, the BERMAD Model IR-130-50 relieves line pressure in excess of preset pressure.